La-La Land: MEET A LA-LA. What do you do at Alice in La-La? I'm the Project Co-ordinator - I oversee events, campaigns and visual merchandising. Who are your favourite La-La labels? A black Muui shift dress that I can wear with everything, and dumplings for lunch. Working (laughs) and watching Dance Moms! Is the variety of everything I get to do. My pug Max, road trips and flight centre. that jumpsuit is so cute! it's so nice to get to know you guys better, and love her style ! nice look! i love the bag! Hey guys, thanks for your lovely comment on my blog, love the look of yours too! Would you be interested in following each other? the romper and the clutch are fantastic..
Wooow! Ur blog is so so good! Love her look, she can definitely pull off a tomboy style better than me. Thank you for your nice comment on my blog and for visiting! so amazing outfit! Thank you for comment on my blog! Wonderful jacket and clutch, the look perfect! lovely pictures! the hat and the shoes seem to fit in my closet! such a lovely outfit,that hat and clutch are super chic! thanks for visiting my blog! If you like,follow on Bloglovin and I'll surely follow back! Love that clutch! Looks fantastic! 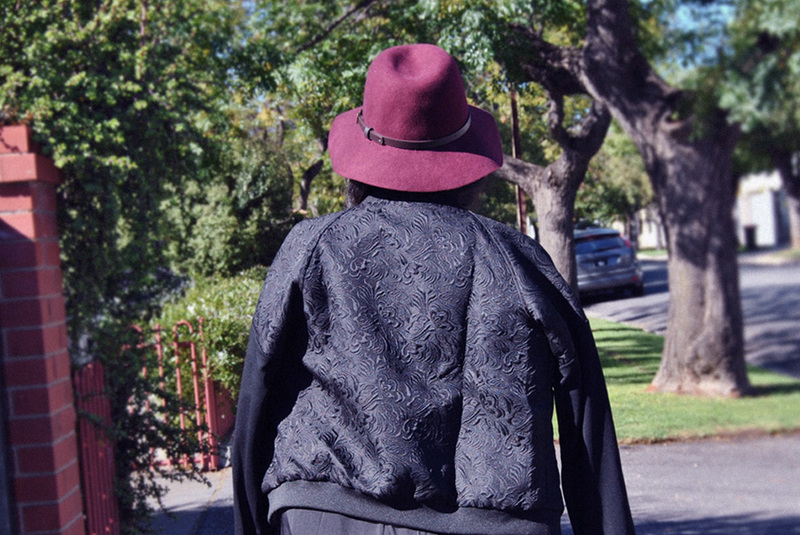 Love the pattern & texture of the jacket. Loving the texture on the jacket and the cut outs on the jumpsuit. Great blogging so far! I'm now following. Clutch is stunning. casper & pearls never heard before but def checking it out. The clutch and the details of the outfit are just adorable! I love the cut outs and the jacket! Fun getting to know the La-La Ladies. Love the texture of her jacket and the colors in that clutch! I love this style! Tomboyish but still retains feminity...and awesome boots! really great outfit, love it! absolutely love everything you're wearing especially that jacket, the detailing is beautiful! Beautiful! Loved your blog and will come back for sure! nice style! love the jacket! I realy the this look. The jacket is great and I love the clutch. Thanks for your comment on my blog. Maybe we can follow each other on bloglovin? Love her style, that C&P jumpsuit is killer! 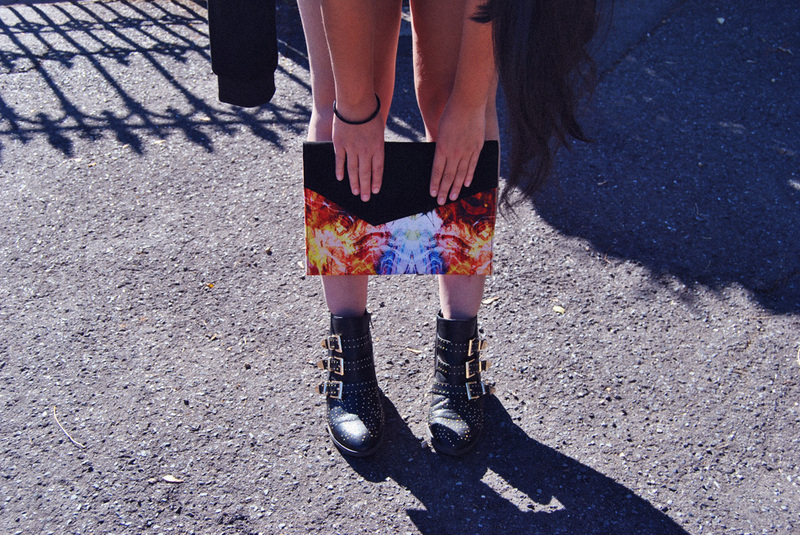 The mystic print of your clutch is amazing! That is such a great romper! Also loving the boots! Lets follow each other !! !